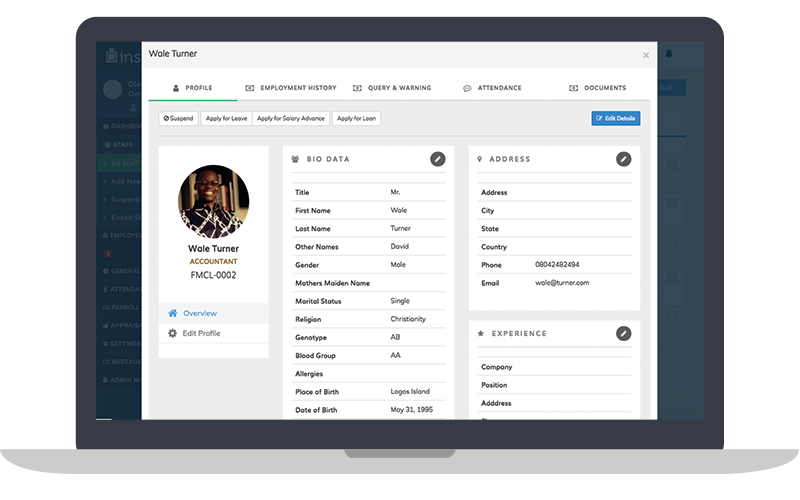 Take a dive into the features that make StaffStrength the only HRMS you will ever need. In a bit of a rush? Download the StaffStrength Brochure instead. Investing in a digital transformation process to manage your entire HR information is extremely important for your business to thrive. 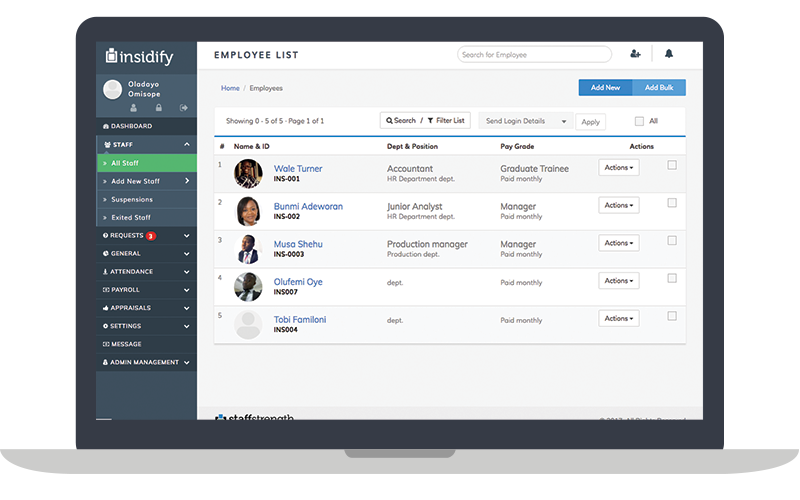 HRIS is your best option to electronically manage your entire workforce from one single database. All your staff requests go through a customizable approval workflow; You can make it go through their line managers for approvals first before it gets to HR or even finance department for approvals. Employee Self Service drastically reduces the amount of time you spend processing employee requests while increasing employee satisfaction with your HR services. Get Rid of Complicated Spreadsheet Computations. Automate your Payroll. Generate and download all the payroll, tax, and payslip reports you need for management reporting and regulatory compliance. See the variances not only between months, but also between the budgeted amount for an employee and the actual YTD. Enjoy benefits that can help you detect fraud, manage employee benefit growth or deductions, and track overall costs to company variances. 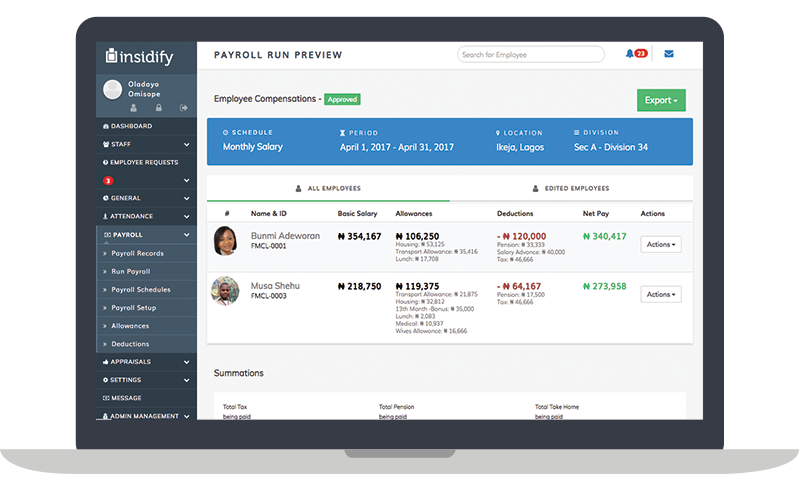 Make accurate analysis and decisions with your Payroll on StaffStrength. Remit Employee Benefits. Accurately. On Time. With all those complex spreadsheets and paperwork, it’s all so easy to get distracted and lose track of what really matters - managing your people and their happiness. Allowances and national fund remittances such as NSITF, NHF, and ITF. Appraise, Document & Analyse Employee Performance. StaffStrength helps you create and manage a performance appraisal system that works across multiple teams and tracks staff work, efficiency and effectiveness. 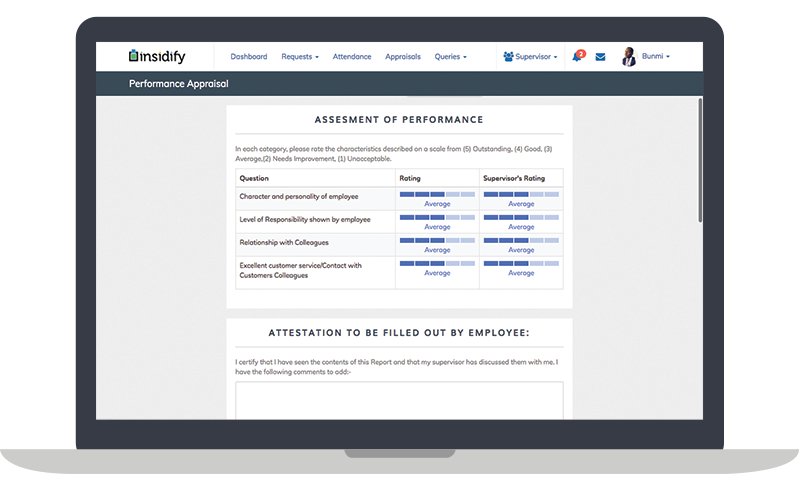 Data from your employee performance appraisals are organised into one user-friendly portal where you can analyse performance for individuals and teams. By suggesting the strongest in-house candidates for roles, StaffStrength Performance Appraisals also empowers you to execute winning Succession Plans. Whether you run a local factory or multinational bank, you need all the help you can get with figuring out who shows up at work, how early they do and how often they do. 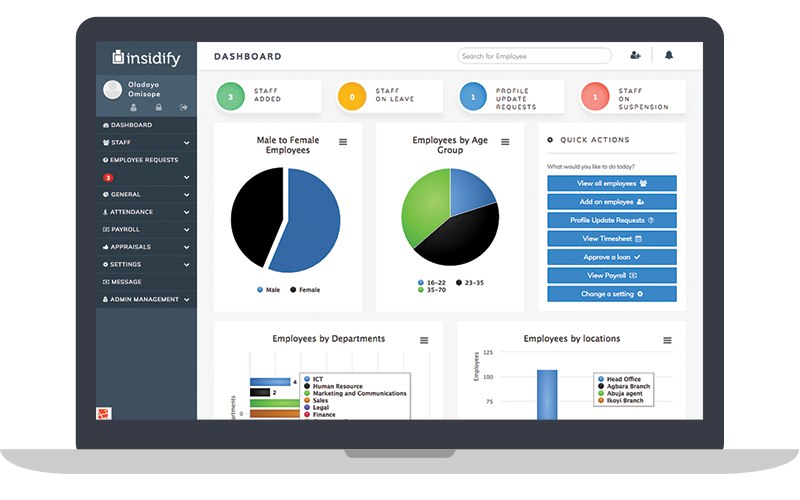 Time & Attendance centrally manages your employees’ time attendance data as part of your HRMS, empowering you with the insight you need to make the right decisions regarding your business. 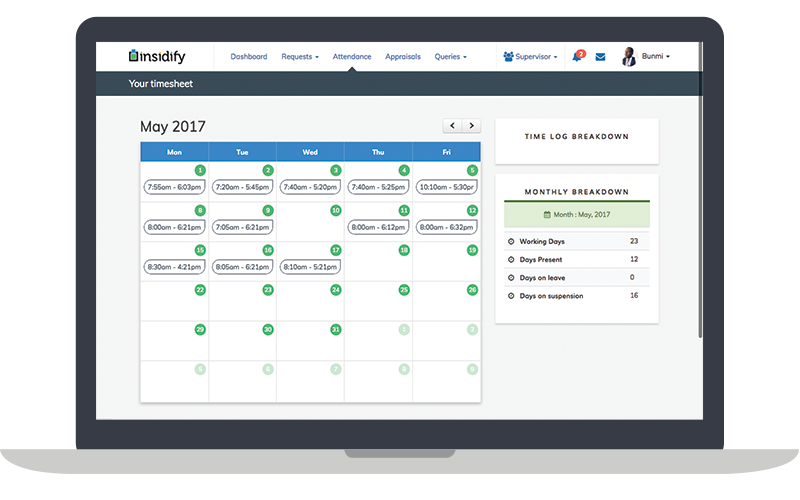 Time & Attendance tracks your employees’ login time and logout to determine staff attendance at work, how much time was spent working for you, and what that means to the bottom line of your business. Using Leave Management means you’ll never again need to do the mental math of how many leave days a staff has left this year. Leave Management module supports you by receiving leave requests and helping you to collaborate with line managers in qualifying and approving leave requests across multiple teams. 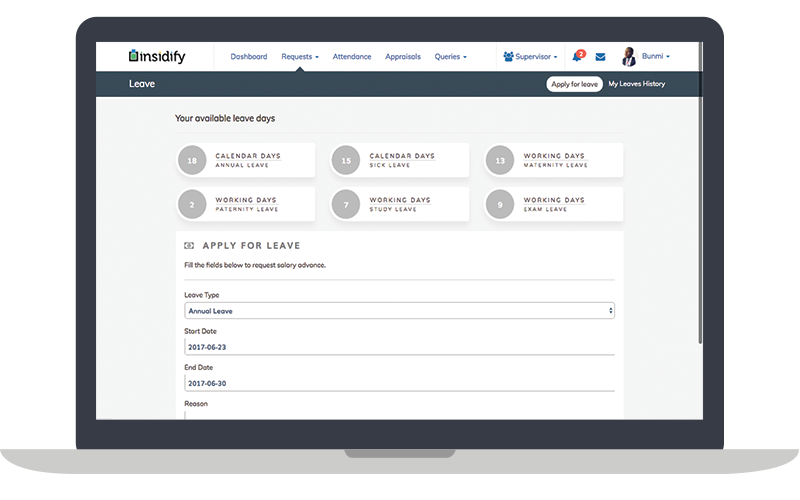 Our supervisor/admin leave calendar gives you an oversight of all your employees or subordinates’ leave schedule to aid you in planning and approving leave days to other employees. This module automates your entire onboarding process for new Hires. It is customizable to fit your your organization process. Informs the Admin department to provide a car and driver also based on the incentives set on the employee pay grade.